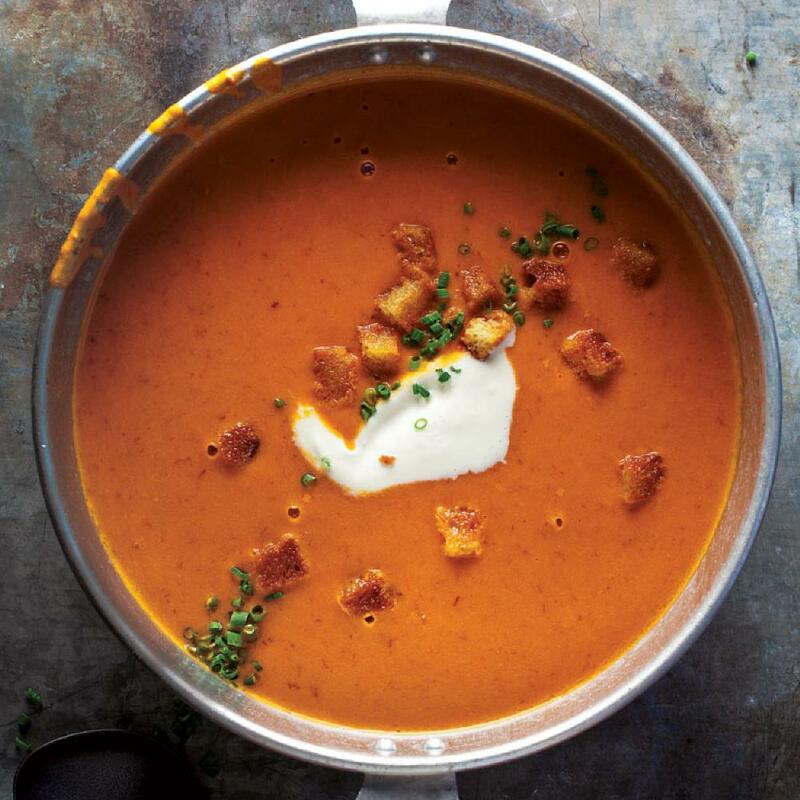 Tomato Soup is long-time favorite and fall is the perfect time to enjoy this warming, comforting soup. Crushed tomatoes bring brightness and body; bacon, a smoky depth; and a generous finish of creme fraiche infuses that signature luxuriousness. It's nuanced and vibrant in ways that the stuff out of a can just can't be. It's–if you'll pardon the expression–m'm, m'm, good.